Monitoring social media mentions, conversations, and hashtags of your own brand and products, or even your competitors, should be part of your social media strategy. Discover what’s happening on social media. Follow discussions and mentions. Interact and start new conversations. Never miss a thing with eClincher! Improve customer service response time and find new leads by always being part of the action. Monitor RSS feeds to easily find and share relevant articles. Create and save your own custom search feeds with specific search keywords to find new stories, discover and connect with people in need of your products or services. Keep an eye on competitors, find new leads, monitor brand mentions and much more! 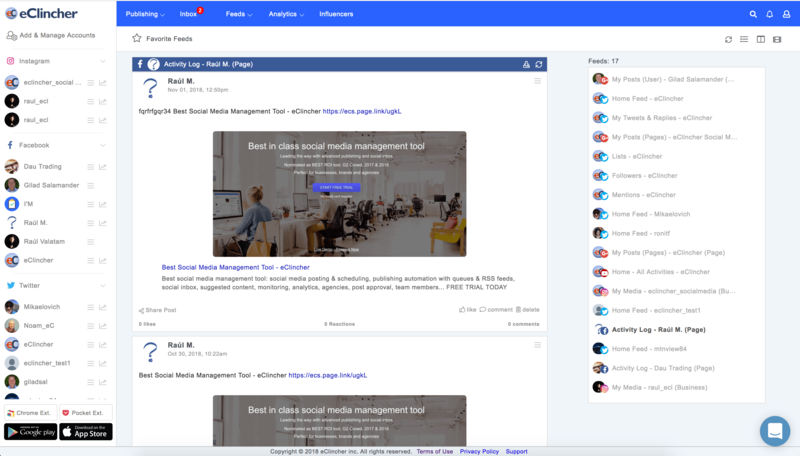 Social Media Monitoring and Listening Feeds: Monitor conversations about your industry, keep an eye on competitors, learn new trends and much more with Monitoring feeds. Searching for these keywords allows you to easily monitor different topics relating to your business or industry. Narrow your search by including sentiment, geographical location, hashtags and much more! Connecting any RSS feed to eClincher and monitor its specific content, and organize your most favorite feeds in a dashboard. RSS Feeds: Find and share new content directly from your RSS feeds. Easily add RSS feeds for all of your favorite websites, so you never have to leave eClincher to find new content. With 1 click you can share new stories to any of your connected social accounts. Favorite Feeds: Keep an eye on your most important social feeds by adding them to your Favorite Feeds. 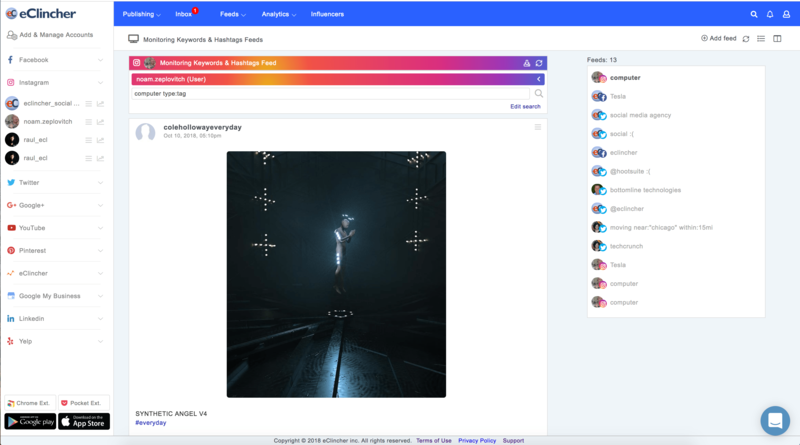 With the ability to fully customize which feeds you see, and in which order you see them, you can productively monitor all of your social accounts in one place and take action when necessary.